Dental implants are a lifelike, permanent solution to replacing missing teeth and restoring your smile. Designed to look, function, and feel like your natural teeth, dental implants replace both the root and crown of the missing tooth. 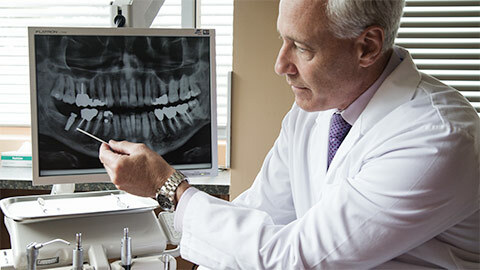 TranscenDental Group in Dartmouth can place and restore dental implants. First, the dental implant post, which is a small screw-like piece, is surgically placed in your jawbone. This replaces the missing tooth root and ensures that your restoration is stable and strong. Second, a period of healing, which usually lasts a few months, follows the placement of the implant. This healing period allows your bone tissues to bond with the biocompatible implant in a process called osseointegration. When your bone is fully bonded to the implant the implant will become very strong. Finally, we place an implant restoration. This replaces your tooth’s crown and restores your smile’s appearance and functionality. We will provide a custom-made restoration that matches the colour and shape of your existing teeth and restores your beautiful smile. Dental implants can be used to replace a single missing tooth, a few teeth, or a full arch of teeth. We also offer implant-supported dentures that permanent affix to dental implants for a more secure tooth replacement option. In some cases it may be possible to place a special implant called a mini-implant. 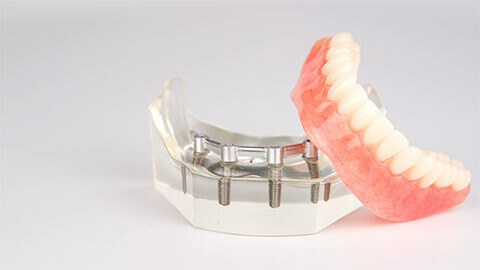 These implants can be placed with much less dental surgery than traditional implants. If you are a candidate for mini implants we will discuss this option with you. We invite you to contact us at TranscenDental Group today to learn more about implants and their benefits.